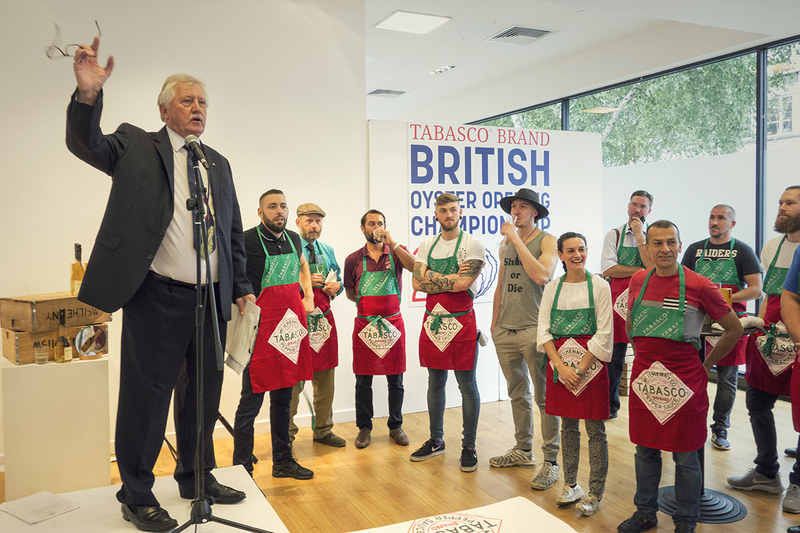 On 11th September 2018 the 26th Annual TABASCO® Brand Oyster Opening Championships were held at Carousel Next Door in London. 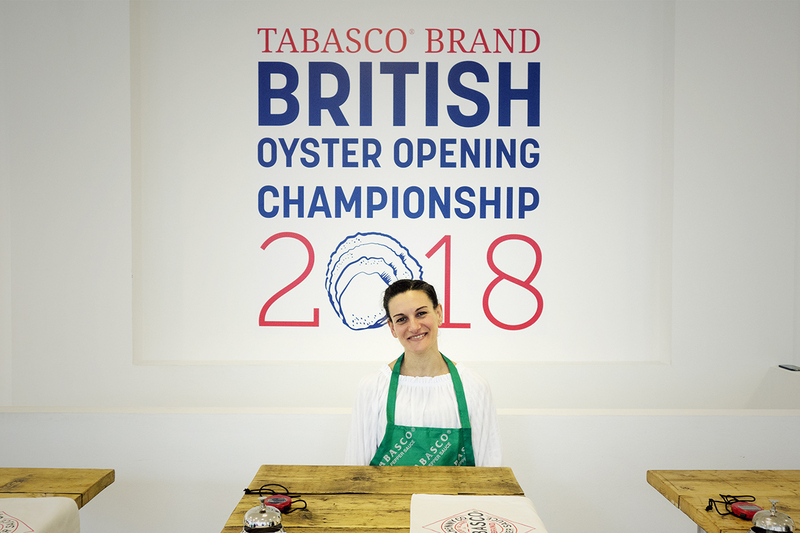 English’s were represented by the brilliant, Sara Muroni and she did a magnificent job shucking oysters under time pressure. Brian Turner, the Master of Ceremonies, was very impressed by the only female contestant and she was roared on by all in attendance to finish in 5 minutes and 30 seconds – Brava!! It was a fantastic networking event and we bumped into the chairman of the Shellfish Association, Christopher P Leftwich, and Mike Warner, Business Development Manager, with whom we discussed a link up to becoming Ambassadors to the Shellfish Association on the south coast. Even Wayne Sleep was there, darting around and being very entertaining! 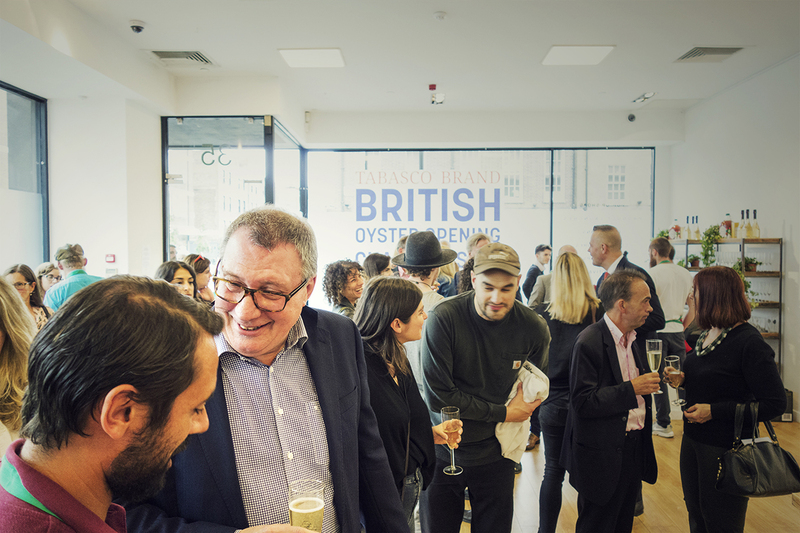 We also had a good chat with Robin Hancock – co-founder and director of Wright Brothers – confirming that although native oysters are very good this year, there are few producers left. We discussed maybe getting some natives from Galway through their wholesale arm, so watch this space! 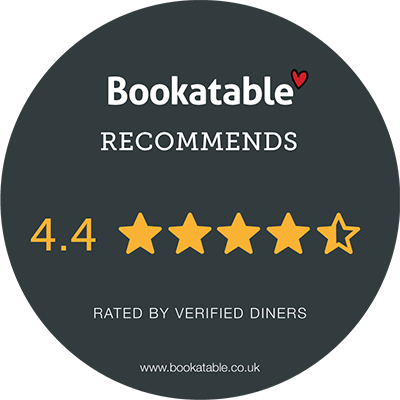 Currently at English’s we are serving excellent Mersea Island Richard Haward no 2s and from time to time we will have the famous Fal Estuary natives from our good friend Chris Ranger, whom we also met at the event. 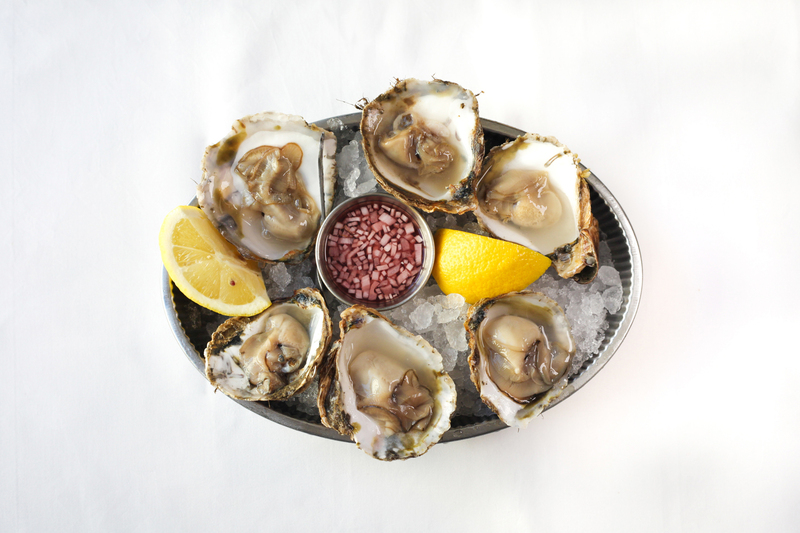 Come on down to English’s and enjoy the Native Oyster Season with us and a glass of Hindleap Rosé at our historic oyster bar.